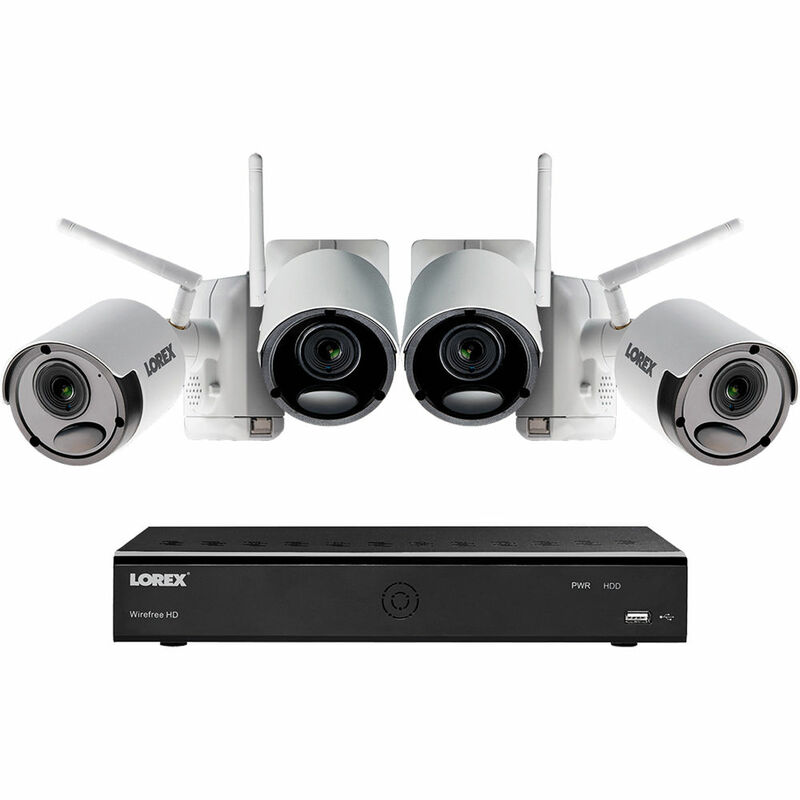 Monitor your property with the 6-Channel 1080p DVR with 1TB HDD & 4 1080p Wire-Free Night Vision Bullet Cameras from Lorex. This 1080p 6-channel DVR manages, and can record from, up to 6 cameras. It comes preinstalled with a 1TB HDD but can support up to 8TB. Space-saving H.264 video compression reduces bandwidth requirements for efficient data storage while maintaining the best quality possible. The Lorex Cirrus app enables remote viewing and push notifications from your iOS or Android device. The included wire-free bullet cameras each capture 1920 x 1080 resolution video. Their wide-angle lenses each have a 140° field of view. IR LEDs provide up to 100' of night vision in total darkness & 150' of Color Night Vision in ambient light. The cameras are equipped with a PIR sensor to detect motion. Each camera is housed in an IP66-rated aluminum alloy enclosure that is suitable for outdoor use. Box Dimensions (LxWxH) 17.5 x 12.5 x 11.25"